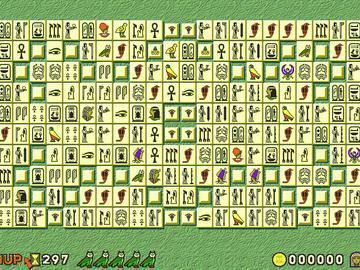 A follow-up to the #1 selling hit title, MahJongg, the Egyptian Edition is a tile- matching game featuring unique, level-based game play. Your skills will be challenged as you attempt to clear the tile layouts, which get progressively harder. Your goal is to progress through all 20 dynasties and solve the Curse of Ra. Instead of playing the same layout repeatedly, as in traditional Mahjongg games, each Egyptian Edition layout is a unique puzzle. 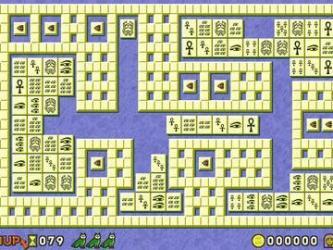 Plus, you must solve each puzzle before advancing to the next, more challenging level. 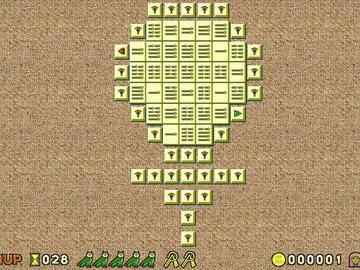 This game has been upgraded to Luxor Mahjong. Details in the download.